A Teacher without a Class: Shrek! 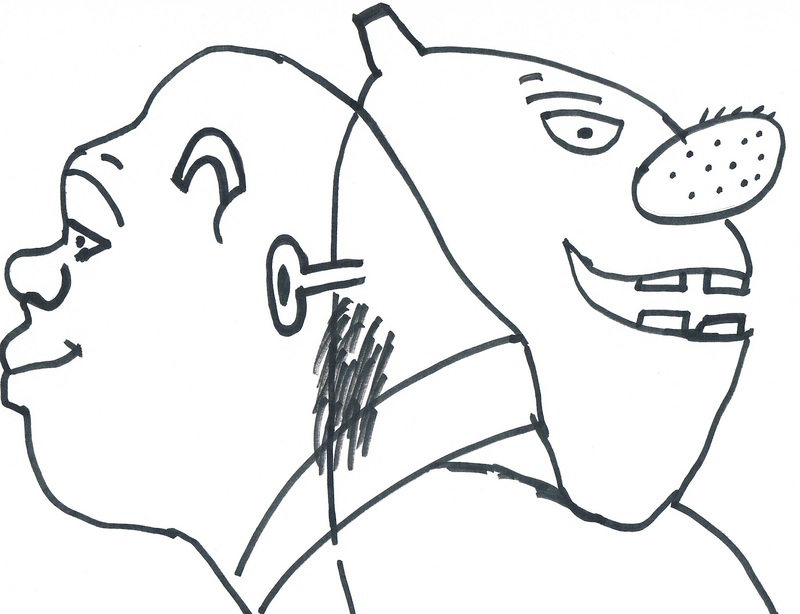 William Steig is one of my favorite authors! 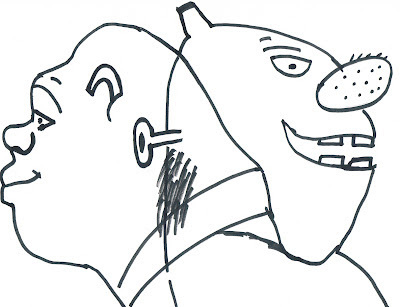 I love his picture book, Shrek. 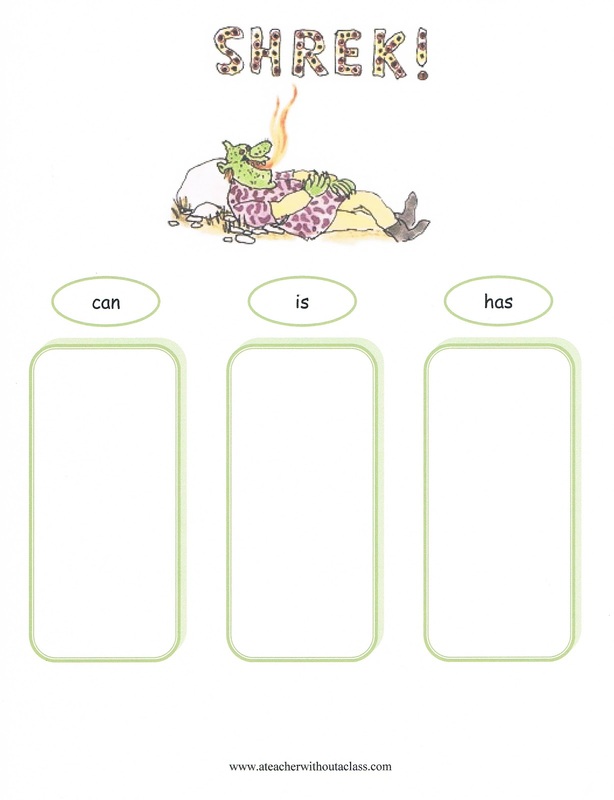 I made up some worksheets to go along with the book. 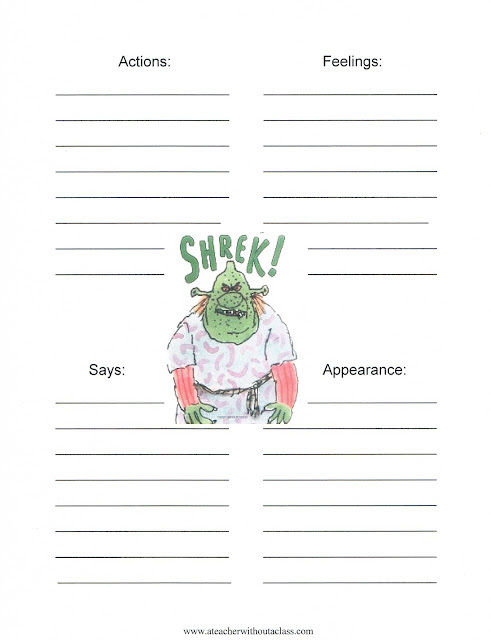 You can use these for William Steig author study, or a Shrek lesson plan. 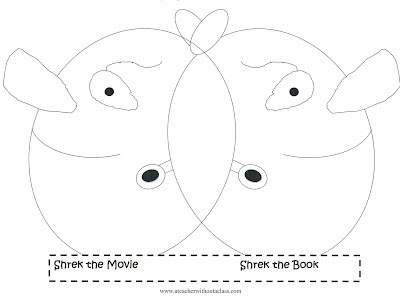 Can you believe I made this Venn Diagram in Word. I really should buy a better program--but I can still produce some cool stuff in just word. 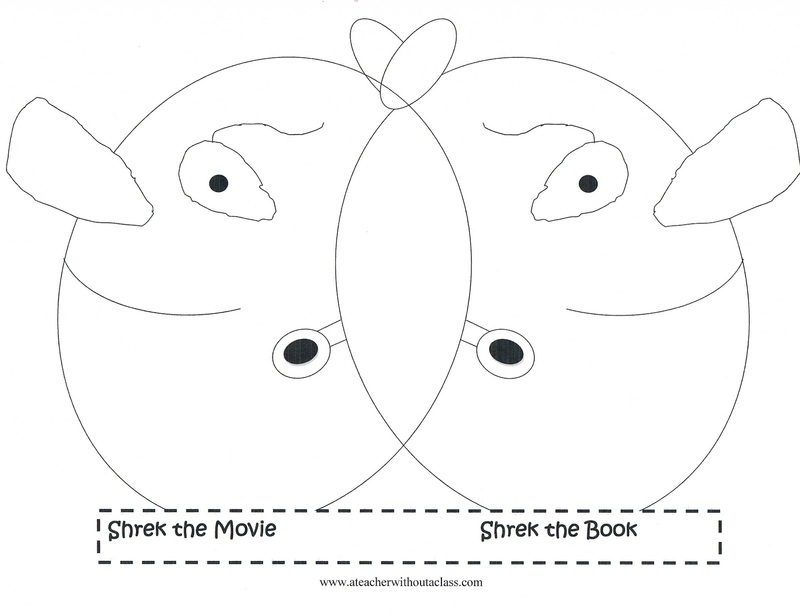 You can download this diagram and other worksheets here! I am wasn't 100% pleased--but I thought I would share! Since I wasn't 100% pleased, I had to make two.